As a special “Thank You” to our users who refer SurgicalPerformance to a colleague, we will be posting a copy of Atul Gawande’s book “Better” to express our appreciation. All you have to do is refer a colleague by clicking the button on your SurgicalPerformance dashboard. In this book, Dr Gawande who has also written “The Checklist Manifesto” and “Being Mortal”, describes the impact of feedback on health outcomes and survival in young patients diagnosed with Cystic Fibrosis. Sharing of accurate and meaningful data allowed specialists to reflect on their clinical practice and identify areas where they could improve. Given that favourable health outcomes are a priority for all medical specialists, the feedback allowed doctors to improve their outcomes without being shamed or threatened. 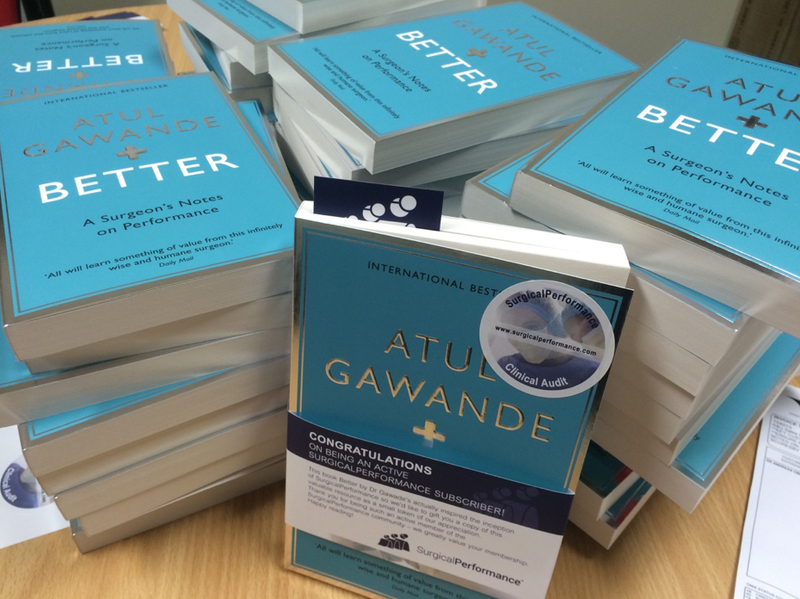 Dr Gawande’s “Better” book was in fact the inspiration to develop SurgicalPerformance and its vision to support specialists in recording meaningful data to achieve even better patient outcomes in the future so it is with great pleasure that we share this book with our supporters. Happy reading!